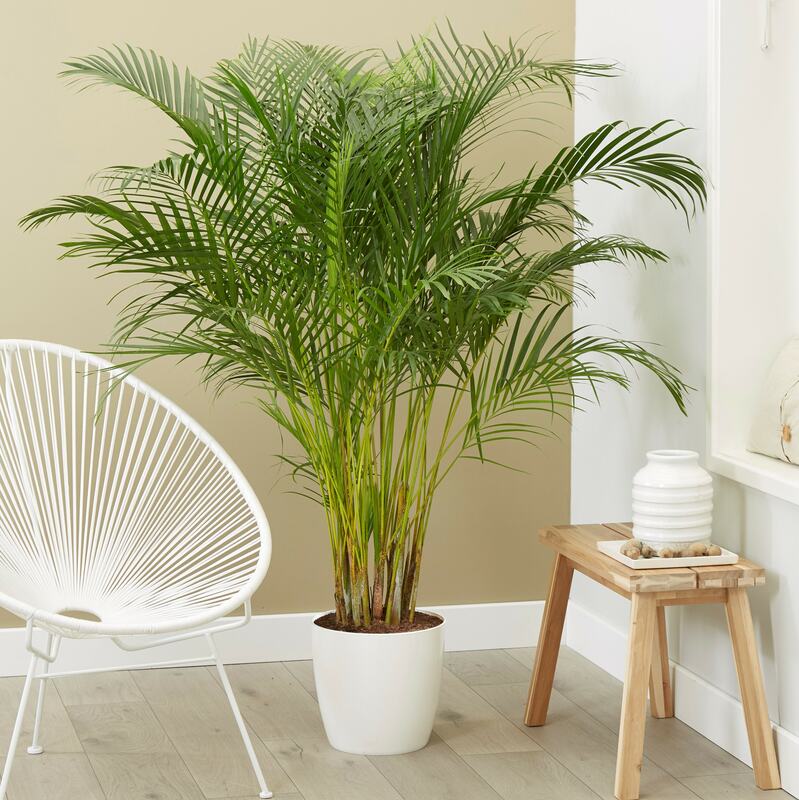 A graceful attractive palm, with closely growing upright stems and long arching linear leaves creates a handsome focal point to any room. Still one of the most popular houseplants and it is easy to see why as it is so versatile and easy to look after. Home care: Water regularly through the growing season with soft water, or rainwater but let the surface of the soil dry out slightly before rewatering. Reduce watering through the winter months. These plants need humidity so mist the leaves regularly, or stand on a tray of damp pebbles. Although they like a warm atmosphere don't place it near a radiator or heat source, and choose a brightly lit spot but not in direct sun.